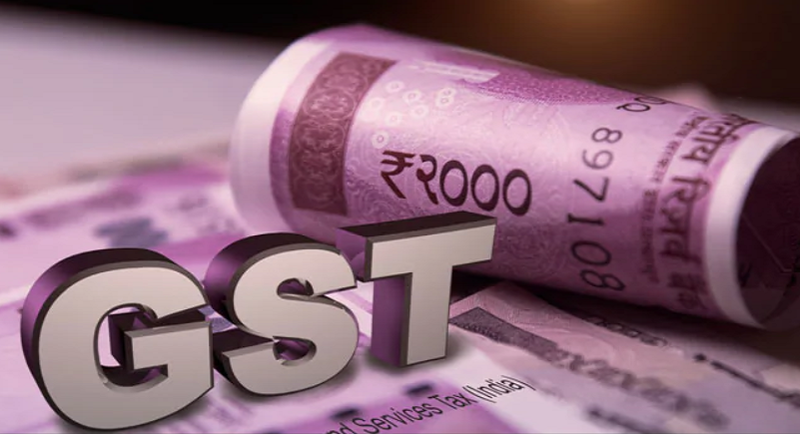 New Delhi, February 2: With the FM Piyush Goyal declaring interim budget on Friday and some major reforms in the extant GST act, the government has also informed that the GST revenue collection for the first month of 2019, heads to the total of Rs 1,02,503 crores. In FY 2018-2019, it is for the third time that GST revenue collection has crossed a lakh crore. Meanwhil, the total number of GSTR 3B Returns filed for the month of December up to 31st January turns out to be 73.3 lakh. According to Budget documents revised estimate, the government aims to collect Rs 11.47 lakh crore from GST in 2018-19 as compared with the Budget estimate of over Rs 13 lakh crore. The number has been calculated with the assumption that state's share in form of State GST is equal to the Centre's share. “The collection in January is a significant increase from the collection of Rs 94,725 crore in December. The collections this month are 14% above the January 2018 collections of Rs 89,825 crore. This jump has been achieved despite various tax reductions having come into force that provided major relief to the consumers. 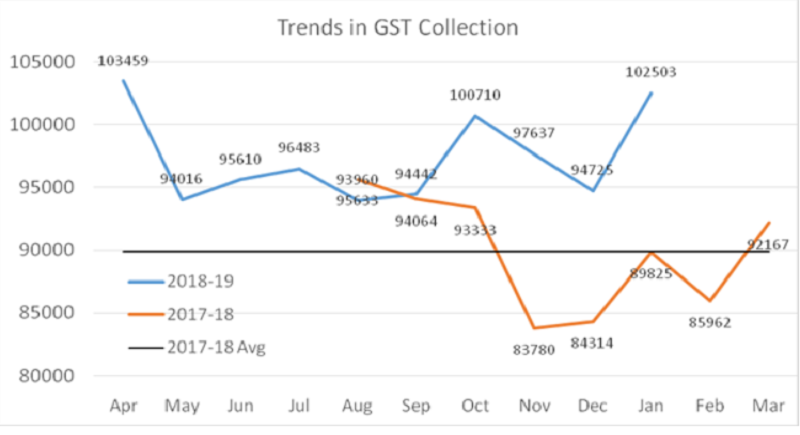 The gross GST collections over the last three-month period has been 14% higher than the corresponding period last year”, reported the statement.